Over the past several years, the American media have sharply increased their coverage of scandals that have been brought to light by whistleblowers, including NSA spying, banking fraud, contaminated food and nuclear safety risks. The stakes for the public—and to the whistleblowers and investigative journalists who disclose wrongdoing and corruption—have never been higher. Syracuse University and the Government Accountability Project (GAP) will host a panel discussion on whistleblowing and journalism as part of GAP’s American Whistleblower Tour. “The Whistleblower, The Press and the Truth” will be held April 1 at 7 p.m. in the Joyce Hergenhan Auditorium in Newhouse 3. The event will explore the important role whistleblowers and the press play in promoting accountability and the challenges they face in speaking truth to power about wrongdoing and threats to the public interest. Roy Gutterman, director of the Tully Center for Free Speech in the Newhouse School, will serve as moderator. Panelists include freelance journalist Kristina Borjesson, GAP president Louis Clark and whistleblower Thomas Tamm. Tuesday, March 31, 7-9 p.m.: Unveiling of the newest portrait in artist Robert Shetterly’s “Americans Who Tell the Truth: Models of Courageous Citizenship” series at ArtRage, 505 Hawley Ave. The portrait honors Borjesson. Wednesday, April 1, 4-5:15 p.m.: Theatre Lab Convocation featuring Borjesson and Shetterly at the Arthur Storch Theatre, 820 E. Genesee St.
Thursday, April 2, 7-9 p.m.: Screening of “TWA Flight 800” with filmmaker Borjesson at ArtRage. All Whistleblower Tour speakers and Shetterly will also give several guest lectures at the College of Visual and Performing Arts (VPA) and the Leaders for Democracy Fellowship program in the Maxwell School of Citizenship and Public Affairs. Clark is president and corporate and financial accountability director of GAP, the nation’s leading whistleblower protection organization. Through litigating whistleblower cases, publicizing concerns and developing legal reforms, GAP’s mission is to protect the public interest by promoting government and corporate accountability. Clark serves as a spokesperson and public ambassador for GAP, and frequently negotiates with government and corporate officials about legal cases and social reform initiatives. He also oversees numerous cases involving widespread financial fraud. He was the first recipient of the Hugh M. Hefner First Amendment Award for Government and was also honored with the Gleitsman Citizen Activist Award. Tamm was an attorney in the U.S. Department of Justice’s Office of Intelligence Policy and Review when he became aware of a program that bypassed the Foreign Intelligence Surveillance Act (FISA) court. After his inquiries about the program went unanswered, he contacted The New York Times, which in 2005 ran a Pulitzer Prize-winning cover story about the George W. Bush administration’s wiretapping program. The program was part of wide-ranging covert surveillance activities authorized by Bush in the aftermath of 9/11. The law creating the FISA court made it a federal crime for any official to engage in such surveillance absent adherence to strict rules, including court approval. Tamm became a target of law enforcement officials. In August 2007, 18 FBI agents raided his home, executing a search warrant in an attempt to locate the source of the Times story. Tamm was also the subject of a six-year federal criminal investigation. He was honored in 2009 with the Ridenhour Prize for Truth-Telling. 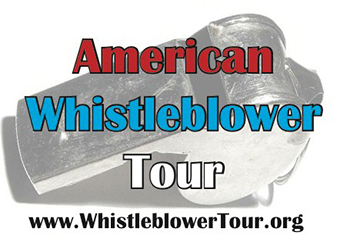 GAP’s American Whistleblower Tour seeks to raise awareness about the vital role of whistleblowing in our democracy; prepare America’s youth for ethical decision-making; counter negative views of whistleblowing; connect prospective whistleblowers with available resources; and encourage academic studies of whistleblowing. Past whistleblower presenters have included Daniel Ellsberg (Pentagon Papers), Frank Serpico (NYPD), Sherron Watkins (Enron) and Thomas Drake (NSA). The Syracuse University stop is the fourth of several to be held this academic year. The events, which are free and open to the public, are co-sponsored by the Tully Center, the Maxwell School and VPA. For more information, contact James Clark at 315-443-8072 or jaclark@syr.edu.